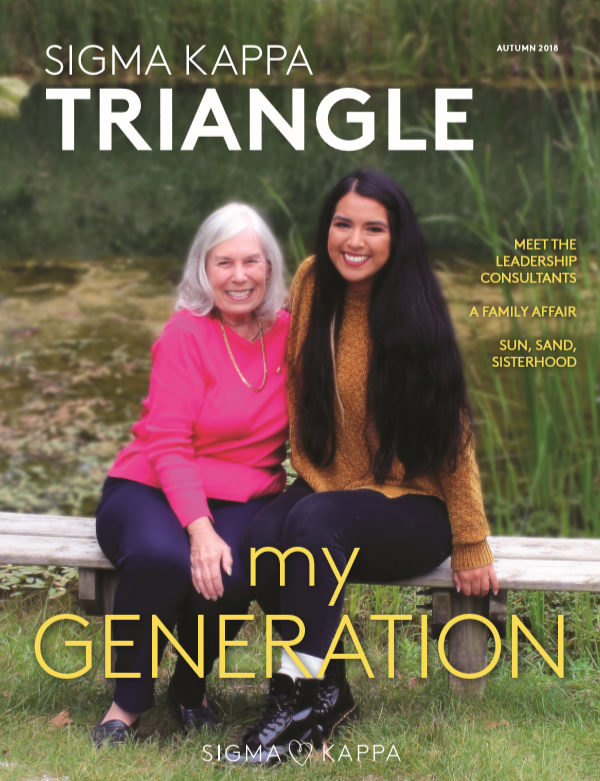 Welcome to the online archive of the Sigma Kappa Triangle, Sigma Kappa Sorority’s quarterly magazine. The Sigma Kappa Triangle has been published continuously since January 1907. Browse through the issues by year using the menu at the top, or search for a specific term by typing it into the search bar. Sigma Kappa was founded at Colby College in Waterville, Maine, in 1874 by a group of five young women. Valuing personal growth, friendship, service, and loyalty, the Sorority has initiated over 168,000 women nationwide. To learn more about the history of Sigma Kappa, please click here. The purpose of Sigma Kappa Sorority is to provide women lifelong opportunities and support for social, intellectual and spiritual development by bringing women together to positively impact our communities. The values of Sigma Kappa are personal growth, friendship, service and loyalty; bound by a promise to be the best person you can be. As a second-year leadership consultant, I have had the great opportunity to be a full-time traveler both of my years. During these two years, I have gone from never before experiencing the high stress of […] The post Zero to One Hundred appeared first on The Sigma Kappa Blog.